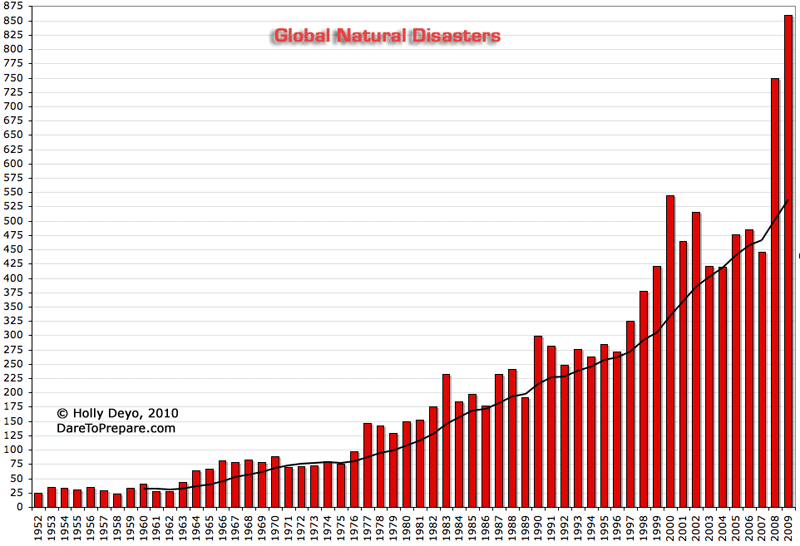 The incidence of natural disaster has risen dramatically over the past 20 years. To close observers of current events in relation to both history and Bible prophecy, this is no mere coincidence. The facts are that statistics prove natural disasters have risen startlingly since 1990. In a law-abiding universe, there has to be a reason for this. During the 40 years preceding the decade of the 1990s, there were 142 classified natural disasters in the United States. During the 10 years of the 1990s, there were 72. The decade that followed from 2000 to 2009 saw some of the worst and most destructive natural disasters in recorded history across the globe. And the most destructive in terms of loss of life and property? Earthquakes by far! “After earthquakes, storms (22%) and extreme temperatures (11%) were the most deadly disasters between 2000 and 2009. … ‘The number of catastrophic events has more than doubled since the 1980-1989 decade,’ [said] Professor Guha-Sapir, director of cred” (United Nations International Strategy for Disaster Reduction Secretariat press release, January 2010). The current decade has commenced with early indications of that trend continuing. Devastating earthquakes in Haiti and Chile, and record-breaking winter storms in Europe and North America have left many dead and homeless, and town and city infrastructures greatly damaged. On reflection, clearly 1989 was a watershed year, a threshold from which natural disasters escalated most dramatically compared to past eras in history - since 1989–earthquakes, tsunamis, destructive storms, floods, fires, mudslides, extremes of temperatures—which take the figures right off the record charts since statistics have been recorded?